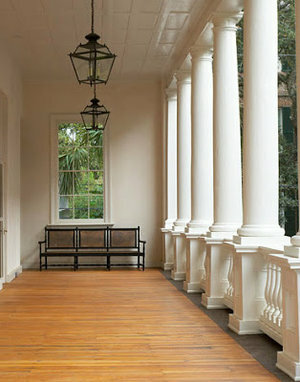 "No visit to this centuries-old magnolia blossom of a harbor town would be complete without a visit with [Dean Pollak.] A cookbook author, socialite and expert on Lowcountry manners, she welcomes me, throws me an apron and gets me cooking the moment I walk in the door. Hoisting a glass of wine, nibbling on some fried zucchini cooked by a friend under Suzanne’s expert tutelage, I fold biscuit dough like origami animals. Suzanne swears this is the secret to flaky pastries. I chop dill for salmon flown in from Scotland that morning, and help mix an organic garden salad, composed from lettuce grown next door. Sitting down at the expertly set table for lunch, we relish our reward." Jump to the full link HERE! One of Dean Pollak's favorite friends could be the coolest woman in the world. She should be Head Dean of the Academy, but her life is too full and she doesn’t have time to share her secrets. 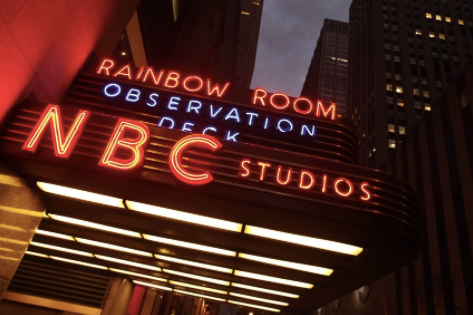 Luckily for you, the current Dean does have the time and is willing to pull back the curtain on this doyenne's latest extravaganza: a white tie ball held in one of New York's grandest party spaces, the recently redone Rainbow Room in honor of the host's granddaughter. The room is the talk of the town, and this party will be the talk of generations to come. No detail was too tiny for this party genius, and not one of those details was over the top. Our lady has perfect pitch -- from drawing up multi-generational guest lists, seating guests so each feels thrilled, to timing, pace, arrangements, music content and volume, food and drink, and every single particular in between -- each detail woven together to envelop everyone in a web of fantasy for one wonderful night. Spinning so slowly, like an old-fashioned LP, that at first the Dean wondered, Am I tipsy? Is there really magic in the world? Can I cover a dance floor so expertly? No! It’s the moving floor! The Deb. and accompanying rappers whooped it up in the middle of the crowded dance floor, hours and hours after start time. Some nights should never end! The best cauliflower the Dean ever tasted (since FIG tragically removed their famous mustard-y cauliflower from the menu) was the result of a sage bush gone wild, spreading its branches thither and yon. My host in Merviel, clasping his antique kitchen cleaver in his right hand, chopped several branches off the bush, using the vegetation as the foundation for his cauliflower brainstorm. Into a steamer went the sage branches, the cauliflower florets laying on top. The moment the florets were tender, he discarded the sage and tossed the cauliflower with a little butter. The cauliflower was like perfume, infused with sage, a surprisingly wonderful marriage of flavors. File this away for Thanksgiving of course, but don’t wait! Get yourself some sage, a head of cauliflower and steam away. You are welcome! Slice large garlic cloves very thin. ** Slice cloves longways because you want as much garlic surface as possible in the oil for release the most flavor. Pour 1/4 inch of Spanish olive oil to cover bottom of a large sauté pan. (The oil and garlic is a fantastic sauce for dipping bread into, but in this case more is not more. If an abundance of oil is used to make 'extra sauce' the shrimp flavor will be masked). Over medium high heat, add the sliced garlic and a sprinkle of espelette (or a whole red hot pepper) until garlic is lightly browned, about one minute. Add all the shrimp and stir until just pink, two to three minutes depending on size of shrimp. Serve immediately with a loaf of crusty bread and plenty more white wine! There is not an easier or more delicious dinner party to be had, on either continent. *TIP: When adding cream and Pernod, remember you can always add more but cannot take out. **Another TIP: Try to find large fresh garlic bulbs, some of our papery ones are basically tasteless. A few hours later, when today’s stock from yesterday’s roast is strained, the stock becomes a foundation for gravy, a liquid for stew, a spoonful to flavor salad dressing. Even though these bones have already roasted and simmered they are not thrown away. They have more flavor to give! After straining the stock, the Stock Broker pours boiling water over the bones, and even more nourishment and flavor is released; this liquid is the beginnings of tomorrow’s stock. *The very first night eleven diners consumed twenty bottles of wine. Not sure if any was left over for the making of stock. Another vendor explains huitlacoche -- a fermented corn kernel that is akin to a mushroom or truffle, usually sauteed. 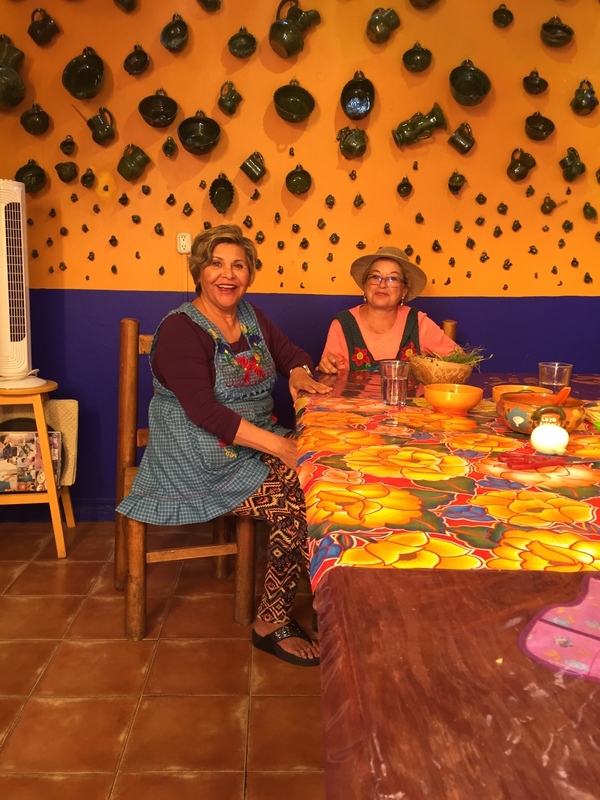 On a recent post-holiday Mexican getaway, my partner and I took a class at the La Cocina Oaxaqueña Cooking School with Chef Gerardo Aldeco. Before the lesson, located in the open-air kitchens in his family's sprawling Oaxaca City home, Chef took us to the one of the best of many overflowing, street block-sized markets to show us how to source the ingredients for one of the traditional cuisine's seven molé sauces. Each is made from a different chili grown in- state (Mexico's most biodiverse), and the two darkest of all molés include incredibly tasty local chocolate. His tips for sourcing good dried chiles: not too dry, slightly pliable, so they don't crack when you squeeze them. Wipe clean; remove stem, slit one side top to bottom, remove the veins and seeds. Don't touch your face. An assortment of dried chiles for molé, on display at La Merced in central Oaxaca City. Also, when ponying up your pesos at the market, don't be shy! Counter-bid. Bartering is customary: a blessing on the transaction, and sign of mutual (and self-)respect. Visiting Professor/Chef Jason Stanhope tries his hand at toasting banana leaves for wrapping tamales. Finely ground the masa made from boiled corn, at least 3x. Then, use chicken stock to really thin it out. Layer the pot: chicken on the bottom, vegetables and cheese on the top. Steam for an hour or more. 3. Eat the dark meat. The mother of our instructor, a master sous chef, busied herself in the background as our cooking class carried on under Aldeco's instructions. Tasked with shredding an entire boiled chicken, I set the gizzards aside, assuming they would have some other purpose than the filling of tamales. When the señora came over to inspect our work, she asked, in slightly horrified Spanish, if I really wasn't going to use the most flavorful part? Then she sliced them herself into perfect and utterly delicious slivers to cook along with huitlacoche (a delicacy) and squash blossoms in a steamed fresh corn tamale. 4. Always tackle prep. work with a friend! Jeannie and Barbara from Santa Fe, NM, pick herbs while they catch up on all the hot gossip. Whenever you add a hot liquid to a starchy mixture, masa de maiz in this case -- do it very gradually and stir, stir, stir like the wind! A golden rule for every roux under the sun. 6. Try adding a cactus worm to your salsa? Oaxacans use freshly ground worms and salt for everything from cocktails to salsa. A traditional tortilla press and colorful woven basket for keeping them warm. Chef Gerardo shows a fellow student from NYC how to gently slide the tortilla onto the tamal. Lightly mold a lemon-sized ball of dough into a thick disk, then press (in tortilla press) between two sheets of plastic wrap. Peel one side of plastic and flip; peel the other side; remove from press and gently slide onto a tamal. Practice using one hand to push and the other to pull so it lies flat. The tortillas will pillow up with steam and fall again (pure magic!) just before they are ready to serve. 8. Have a little mezcal, even at lunchtime. To be fair, seems that Oaxacans start the day with a huge breakfast of memelas, empanadas, or chilaquiles, and enjoy their second meal more like a middle-of-the-afternoon feast. Chef G. told us that most of the time they skip dinner because lunch is such a grand affair. The traditional high-gravity accompaniment is a true art form at it’s best — i.e. made according to (arguably) prehispanic tradition from 100% agave, which grows wild and often takes a quarter-century to fruit (meaning that it might be harvested and cooked by a farmer younger than the plant itself!) Good mezcal is quite low in sugar; so while surely still possible to overindulge, a couple of small glasses won't leave you with a hangover. Finally, because the production process is so labor-intensive, and the drink itself a requisite at celebrations, many distillers will hoard their lot in anticipation of a wedding in the family, leaving little left for the rest of the market. In short: if you're lucky enough to get the good stuff, enjoy it, with new friends and a fantastic meal, regardless of the hour. Assistant Dean AK here, with another hotel room dispatch, this time in freezing Montreal! Believe it or not, our next stop happens to be the Mexican state of Oaxaca. I’ll spare you all the reasons why we ended up taking this nonsensical route, but suffice it to say we were presented with unique challenges in the packing department. Montreal's temperatures are currently in the negative degrees Fahrenheit while Oaxaca continues as warm as you might expect. Enter the handy-dandy book Packing for Travel (on loan from Dean P.) to assist with Edit: Round Two in our Canadian hotel room, before I repack my Mexican getaway suitcase and set aside the rest to be shipped home from the airport. to toasty warm Oaxaca City. So long layers and coats! Not only does Karen Klopp, Editor of the What 2 Wear Where blog, offer several other incredibly helpful and cheerfully illustrated Top Tens, like "All the Basics" and "Steps to Panic-Free Packing," but she also includes packing lists for every destination under the sun, from a Dude Ranch to Deep Sea Fishing. Per Klopp's best advice, I'm opting for knitwear (which doesn't wrinkle) and the "Top Ten Travel Essentials," among them a pashmina, down vest, and dark jeans. I may even wear all three on the plane, ready to shed/shove in an overstuffed duffel bag the moment I arrive in a more habitable clime. First Fall Field Trip a Smashing Success! While it is the mission of all Academy classes to teach students a new way to engage in their homes, the first Honors Society field trip to Point of Pines, Edisto Island, SC, offered a glimpse at what what it means to live on (and off) the Lowcountry land...18th century style. A sense of drama unravelled (along with our inhibitions) after such a high-spirited welcome -- cocktails combined with woodworking on the lathe, an elaborate supper made from humble ingredients, a rugged Gator mobile nearly overturned, and Burnie's mastery in the fine arts of farming, fishing, woodworking and cuisine, despite his initial impression as the cigar chain-smoking former Tax Commissioner of SC. Burnie also proved a master at putting everyone to work to the sultry tunes of Patsy Cline. Eight businesspeople from LA, Atlanta, NYC, Chicago, were quickly cajoled out of their comfort zone and set to task at something they had never done before: pulling crab traps out of a tidal creek, choosing eggs from the hen house, foraging for chanterelles along the side of a country road, and harvesting fist-sized okra, melons still ripe on the vine, and the last of the leeks straight from the garden. Under Burnie's finely tuned direction, the bounty was collectively transformed into a three-course farm-to-table feast fit for kings. The first course of Edisto Seafood Stew, freshly steamed Stone and Blue Crabs, and Cheddar Biscuits; turned to a second course of local Tea-Smoked Ribs, Roasted Chanterelles, Watermelon & Mint Salad, and Green Salad with Lima Beans cooked Ham Hock; and finally dessert of homemade Peach Ice Cream straight from the churn. Divine! At the end of the day, we were all reminded of what is glorious and unique about life in the Carolina Lowcountry, and vowed to put the lessons of simple, sustainable, everyday luxuries learned at Point of Pines to use in our own abodes, wherever they may be. Dean Pollak went to China this weekend. Well, not really, but as close as a person can get to Shanghai without leaving mainland US. She was an attendee at a Chinese banquet in New York’s Chinatown at the Golden Unicorn Restaurant. Dean Pollak was stunned at the differences, and yet soothed by the similarities, of a large gathering of a totally different culture. Let’s start with the most salient differences. There was no bar at all. Each table had a bottle of red and white wine, bottles of Coke and a pot of tea. Only the tea and soda were opened during...not the cocktail hour. The Deans will call the hour and a half before the food was served the "meet and greet." From 5:30pm to 7:00pm guests mingled with one another without alcohol, and here the Dean’s have been preaching all along the bar must be the first thing people see. Evidently not. In this case a bar was not necessary. Husbands and wives were seated next to each other. A total departure from what the Deans espouse. No elaborate floral centerpiece, the food was the star. The center of the table was alternately platters of food or stacked with the just used dishes. The Chinese New Year puts our Thanksgiving to shame. The courses, all twelve of them, had multiple components, each different colors and textures, so that the banquet was not just twelve different dishes, but came closer to fifty. The overarching similarity is the sense of family and conviviality that a multi generational party hosted by a nonagenarian patriarch provides. Just like many parties we’ve been to ‘here’ there was a dance floor and a live band, and people really got up and danced. Getting your boogie on was a necessary bit of salubrious movement to help make room for the next course. Dean Pollak thoroughly enjoyed her trip to the Far East, and was honored to be invited. Dean Manigault was not able to enjoy her Saturday night just thinking of the Chinese New Year's Feast she was missing. Perusing the Sunday New York Times Travel Section, Dean Pollak was stopped in her tracks. She has frequently espoused that a dining room table tells you exactly how many guests it wants. The wonder of the restored dining room in the palace, Falaknuma in Hyderabad, India, is the table that seats 101 people. It is the longest dining room table in the world. Dean Pollak thinks that if she rearrange a few things it will fit nicely in her dining room. No more trimming the guest list! Guess what the latest tenet learned by Dean Pollak in New York City was just this last week? It has upended everything we thought we knew at the Academy. If we were not rock solid on this science, then every skillet in our cupboard should be shaking about what other enormous unknown lacunae lurk in our supposed breathe of knowledge. It's almost too much for us to take in. While procuring a bottle of bourbon for a dinner gift (the hosts already own two copies of our book, one from each of us) the omniscient sales clerk decreed that rye is the liquor of choice for Old Fashioneds. Rye has spice top notes, whereas bourbon's are sweet, so rye actually contrasts with the sugar and the orange bitters better. Dean Pollak has ferried this late breaking newsflash back to Charleston and the Deans plan on dedicating December to extensive tastings to verify the veracity of this pronouncement. Pour over large ice cubes. Makes one cocktail. Wednesday morning both Deans were up bright and early so we could get to our presentation for the Bethesda Arch Series in Savannah, Georgia. We thought the ladies had been ambitious ordering 400 books for us to sign, but it turns out the ladies of the Woman's Board were spot on. Both Deans’ signing hands began to spasm uncontrollably as they neared the 400 mark, but we were thrilled to sacrifice our grip for such a worthy cause. The audience sat rapt with attention and was one of our favorite audiences of all time. After the speech we retired to the anteroom and were presented with the recipes from our very own book! From 1740 to present day, Bethesda Academy is the oldest child caring institution in the country. From its earliest days as an orphanage in 1740 for 61 children in Georgia, Bethesda Academy has evolved into a successful middle and high school serving a diverse student population. With an emphasis on integrated learning and spiritual development, Bethesda Academy offers a wide range of educational opportunities for students with various learning styles. Dean Pollak's favorite restaurant of 2014 is the Saltry, on a tiny slip of an island, Halibut Cove, (population 30) off Homer, Alaska. She's been wondering how to get herself back to the coolest spot on the most western tip of the United States to relive an extraordinary July day feasting, boating, and hanging out with the Hotes Foundation gang. Today's NYTimes Dining Section came close to the rescue with a lovely profile of Saltry and its owner, Marian Beck. The Times photos capture the spirit of the restaurant, sitting on stilts overhanging Halibut Cove. Maybe because Marian Beck grew up on Halibut Cove, she had to learn how to do EVERYTHING. Cook, bake bread and pies, grow vegetables and flowers, preserve moose plus berries, catch salmon, halibut and cod, paint, fillet fish (I watched her fillet a giant salmon with the ease that I chop cabbage), greet customers and make the world's most extraordinary chocolate cheesecake. So Academy fans won't feel left out, we've copied Marian's cheesecake recipe below, from her fabulous cookbook, Salmon Patties & Rosehip Pie. 2. Prepare a 12-inch springform pan by cutting baking paper in a circle to fit the bottom. Mix graham crackers, 1/2 cup sugar, and butter together and press against the bottom and sides of pan, keeping the top edge uniform so it will be attractive when sliced. 3. Using an electric mixer, beat the cream cheese and sugar together until smooth. Add eggs, 2 at a time, and sour cream, mixing all the while. Melt the chocolate in a double boiler, and when it's completely melted and silky in texture, add it slowly to the cream cheese mixture, beating constantly. Pour into the pan and bake for about 1 1/2 hours. Watch it carefully; you don't want it to crack or the edges to puff up too much. 4. Serve with a drizzle of chocolate and whipped cream. What would Jefferson do? The Deans are packing up to go to Monticello for the Fall Festival Harvest this weekend to ask him ourselves. We couldn’t be more excited. Thomas Jefferson's ethos is the plinth atop on which the Academy perches. What the Deans espouse, Thomas Jefferson taught us: a house is the ultimate tool for living. Remarkably, both Deans live in 18th century houses, so we have loved poring over Thomas Jefferson’s style of household management and find much that we can incorporate today and much to ponder. One question that we simply can’t get out of our heads is where did Sally Hemings sleep? Did he bring a French chef back to the United States? What questions do you want answered? Let us know and we will ferret out the answers anon. Being ever hungry Deans, we plan to stop at least half a dozen places to eat on our drive up 95. Please let us know if there is a gem we might miss. The first night we are there, we are sampling some of Richmond's delights. Rappahannock we hear is fab, as well as a jewel called Mamma Zu. Perhaps a night in the historic Jefferson hotel to get us in the mood? 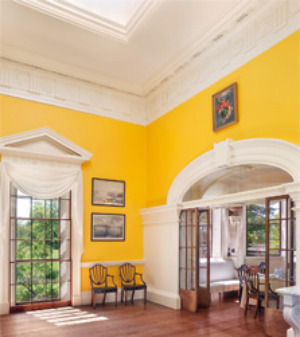 We are booked for a behind the scenes tour of Monticello on Friday and we are tickled pink. We plan to sit in the lotus position being carried room to room so we can absorb as many vibes from TJ himself as we can. We just know he has been dying to share his secrets with us personally, so we can spread his message, just like the seeds he so loved to scatter. Saturday finds us speaking from 12:00 - 1:00 p.m. and on a panel with Charlotte Moss, Annie Vanderwarker, Holly Shimizu, and Gabriele Rausse. Heady company indeed. Get tickets here to join us at the festival where we will talk about Living Like Thomas Jefferson: 18th Century Living in a 21st Century World.